Whereas, in its opening game in the 2011 Long Teng Cup, the Philippines started as though its players just got off the plane, it was faster off the blocks in the second encounter against the host country Chinese Taipei. The hosts looked overawed as the Filipinos moved the ball around crisply while camped mostly inside their own half. Without really creating anything of substance, it has to be added. 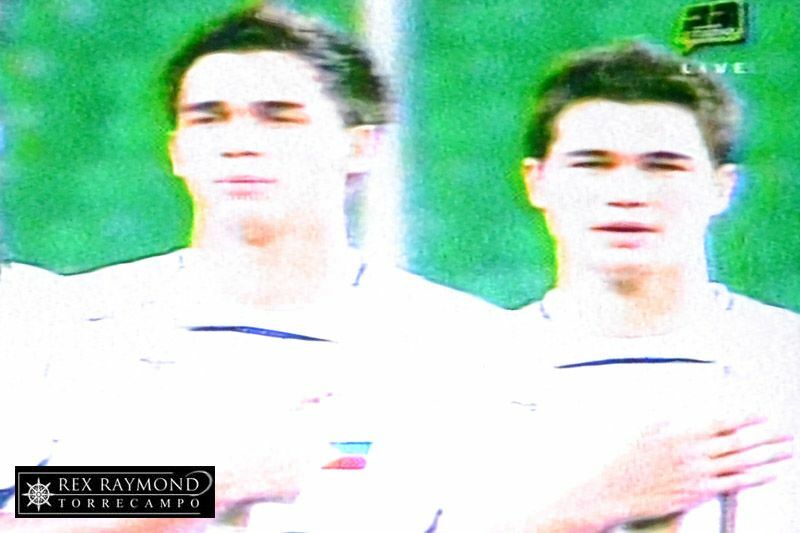 We would have if Phil Younghusband had not forgotten to bring his shooting boots along. In the 11th minute, Emelio Caligdong and leftback Nickson Leonora combined on the left flank in a move that was almost a carbon copy of the Craig Bellamy-Jose Enrique combination yesterday that led to Andy Carroll’s opening goal for Liverpool in the Merseyside derby. 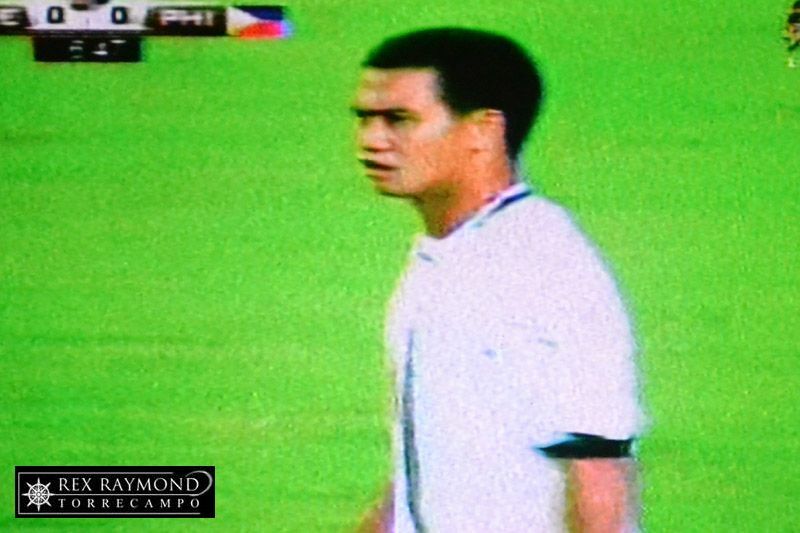 In Kaohshiung, it was Younghusband at the end of the cross; but his shot ended up on Row Z.
Younghusband was getting some special attention from Chinese Taipei’s central defenders; so it made sense for him to move to the right flank for his enterprise. 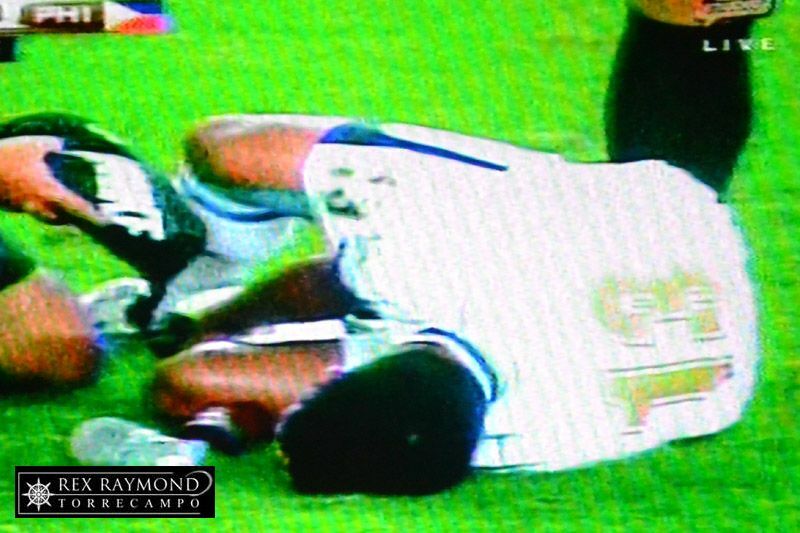 He was sent clear in the 14th minute and sent in a low cross; but Ian Araneta, who had taken over the more central role, tumbled over just as the cross was sent in. 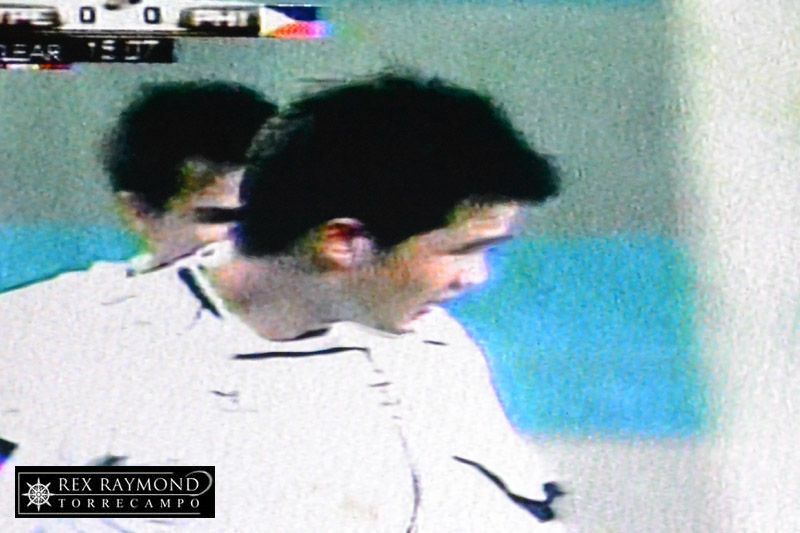 It was not until the 18th minute that the hosts managed a shot at the Philippine goal. The midfield was gaping open and the Chinese Taipei player dribbled through to take a crack from distance. His shot was well wide, though. A minute later, Caligdong’s increasing confidence and value to the team was evident as he took on two Chinese Taipei players to try to get in a cross. The trickery was lovely to watch; but the cross, in the end, was poor. 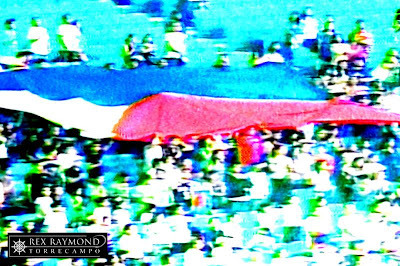 By this time, however, Chinese Taipei was growing in confidence as the Philippines started to fade. Whereas the former struggled to create anything of note in the first quarter of the game, now its players were starting to get more shots on target. There was the little matter, however, of a certain Roland Mueller. 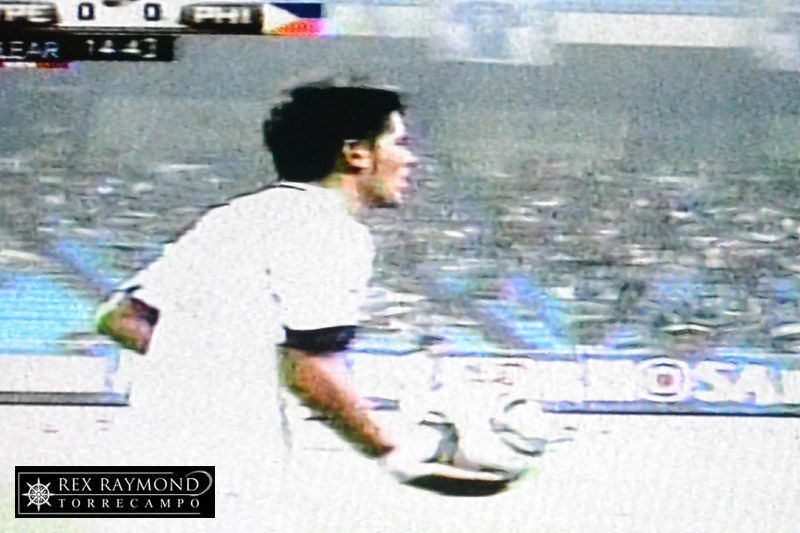 The Filipino-German, standing in for Neil Etheridge in the Philippine goal, fielded shot after shot by Chinese Taipei with admirable confidence. Although not as physically imposing as Etheridge, Mueller has the same safe hands and the same vision for a good pass. The Philippines, however, continued to look dangerous on the break even if Chinese Taipei had begun creating the more chances. 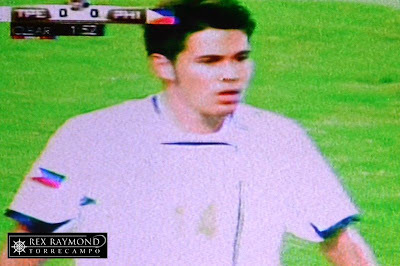 In the 31st minute, Araneta sent Phil Younghusband through on goal with a Chinese Taipei defender bearing down on him. Had Younghusband cut inside and shot with his left as he did in the Suzuki Cup against Vietnam last year, perhaps the ball would have ended up in the back of the net. As things happened, and considering how miserable Younghusband’s night would eventually turn out to be, he would have been on target if the goal was on Row Z. The second half degenerated almost into a non-event as Chinese Taipei bossed possession without really creating anything that even ruffled Mueller’s feathers. 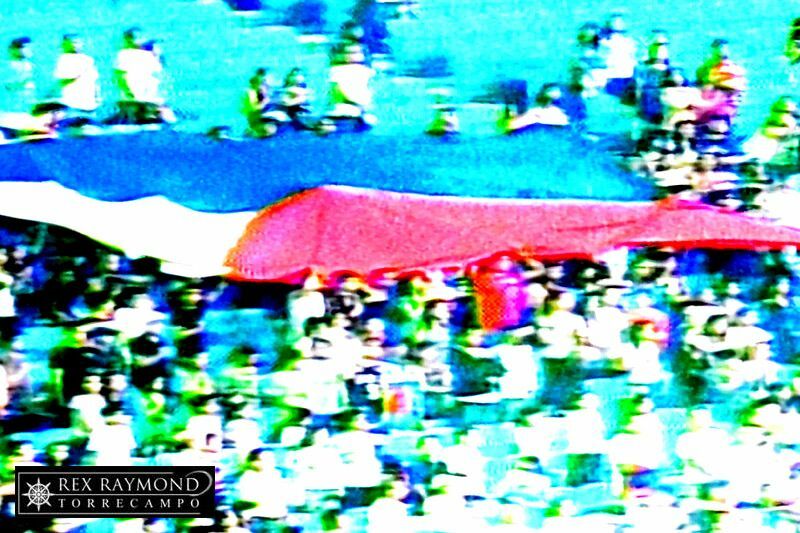 For the Philippines, the makeshift partnership of Angel Guirado and Matthew Hartmann in the middle had the necessary physique to keep out Chinese Taipei’s players; but neither had the creativity to propagate a free-flowing passing game. Still, the direct Philippines’ approach had its moments. In the 61st minute, Phil Younghusband set up the left-sided Jeff Christiaens, who had come in for the injured Caligdong, with a chance. The shot was wide. Christiaens was again at the end of a golden chance to break the deadlock when he beat Chinese Taipei’s offside trap to go one-on-one with the goalkeeper. Instead of taking a right-footed shot, he played the ball square to Younghusband, whose shot from an unkind angle was saved. Mueller was called on to make just one more save the 79th minute when Chinese Taipei played a long ball out of defence. The save was routine as the Chinese resorted to gamesmanship to see the rest of the game through. Hong Kong, which routed Macau 5-1 in the day’s first game, heads the four-team table with 4 points and a better goal difference over Chinese Taipei. The Philippines has two points after drawing its first two matches; although its last match is arguably the easiest of all on Tuesday against Macau. The draw was, naturally, a disappointment for the Philippines. However, even with a heavily experimental formation and playing against the home side, it never really looked like conceding a goal. Never mind Chinese Taipei’s shots-on-target statistic; Mueller was too good to lose sleep over any of these. The Chinese were also well-schooled in the art of gamesmanship. There must have been more dives by its players than combined US and Soviet submarines during the Cold War. Not that I am complaining, because hometown decision are a fact of life, but had the referee been more impartial, there would have been far less Chinese Taipei players on the pitch than the number left when he blew the final whistle. Some of Chinese Taipei’s kung fu tackling – with legs high and studs showing – were of the sort more appropriate in a Jackie Chan movie. There is all to play for on Tuesday, then. The best results as far as we are concerned will be a draw between Chinese Taipei and Hong Kong and a huge win by the Philippines over Macau to boost our goal difference. At any rate, what this whole tournament shows all of us is that we have to have one of our own soon. Am I just being such a bighead these days or is it really such a bore to watch a match played in a near-empty stadium?